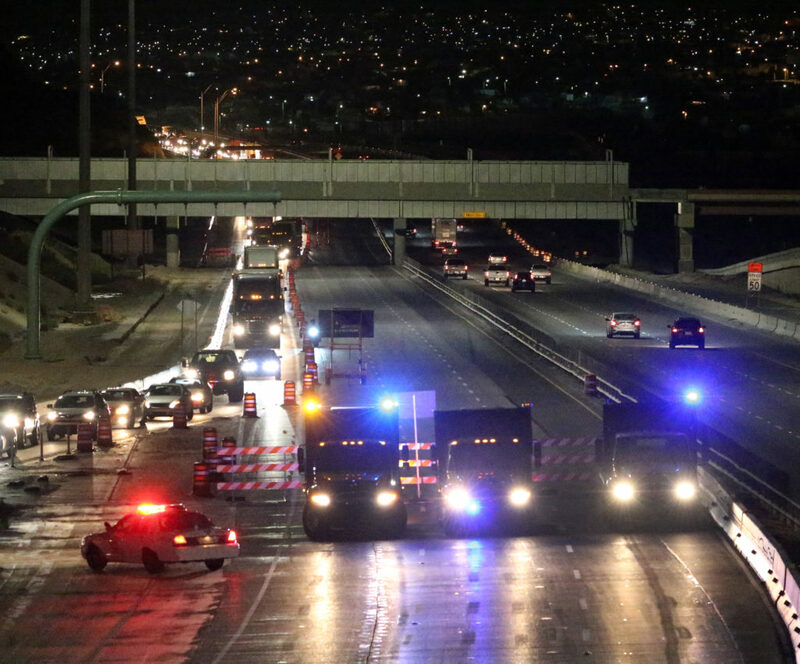 An El Paso police officer controls traffic flow at North Mesa St. and Sunland Park Drive during a closing of a portion of Interstate 10. Police officials say overtime shifts are voluntary and typically filled on a first-come, first-served basis. A group of El Paso, Texas, police officers has continually racked up significant overtime hours, in some cases working more hours per day than considered safe while nearly doubling their salaries. While on these extra shifts, three officers have crashed cars and one failed to properly search a suspect and was accused of sleeping on the job, according to internal affairs documents and court testimony. 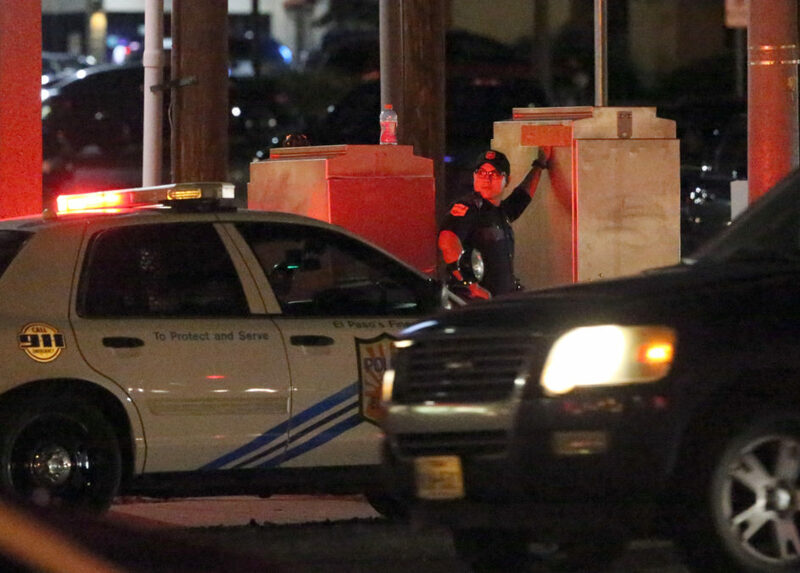 The El Paso Times and Reveal from The Center for Investigative Reporting, a national nonprofit newsroom, analyzed five years of El Paso Police Department overtime requests and hourly data, obtained through the Texas Public Information Act. In the thousands of pages of city records, one thing is crystal clear: Officers periodically work dangerously long overtime shifts with few daily limits. A review of the time sheets of the top 10 earners alone shows more than 450 cases in which officers worked at least 16 hours a day. Researchers say officers never should work more than 12 hours in a day, let alone 16. Lois James, who studies sleep deprivation in policing at Washington State University’s Sleep and Performance Research Center, said such shifts contribute to poor decision-making, greater risk of car accidents and a weakened ability to de-escalate volatile encounters. Elida S. Perez produced this story as a Reveal Investigative Fellow. The fellowship, supported by the W.K. Kellogg Foundation and Democracy Fund, provides journalists of color support and training to create investigative reporting projects in partnership with their news outlets. “Allowing that amount of overtime is pretty irresponsible, and there are really established risks of working more than 12 hours,” she said. Karen Amendola, the national Police Foundation’s chief behavioral scientist, agrees. “If you have a gun and a badge and you are obligated to protect and to serve, you have to do it in a way that doesn’t put people at risk,” she said. 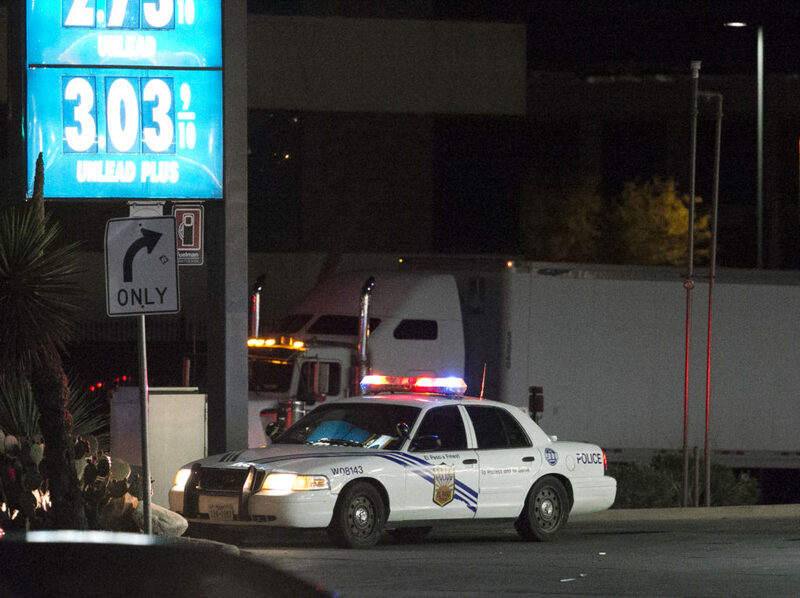 When shown the analysis, El Paso Police Chief Greg Allen said the 16-hour shifts are concerning. He said sometimes circumstances, such as a major investigation or court appearances, drive the overtime hours. “We hope it’s a rarity,” he said. The analysis found that some officers frequently worked long shifts. One officer, for example, worked 16-hour shifts at least 68 times over the five-year period. The department anonymized the shift information, so it’s unclear which officer worked those shifts. The department has restrictions in place to prevent officers from working long shifts two days in a row, Allen said. However, it does not have policies that stop officers from working single shifts that are dangerously long. Allen said the department has not considered implementing daily restrictions because overtime often is driven by factors that cannot be controlled. “A lot of what drives this right now is that there’s an option for officers to work overtime, and a lot of them seek that,” he said. Among those who seek it the most, three of the top 10 overtime earners have been the subject of internal investigations for incidents that have occurred while they worked overtime. Officer David Amparan, for example, boosted his $71,000 salary to $130,000 in 2017 with the help of 1,100 overtime hours. Over the last five years, he worked more than 4,200 overtime hours, earning an extra $211,000. Amparan has been the subject of 16 internal affairs investigations over the last five years, from being caught speeding to pulling pranks on other officers. In three instances, he was investigated for incidents that occurred while he was on overtime. In a fourth overtime incident, Amparan was accused in court of being asleep at the wheel. In 2014, he was working an overtime shift to help block traffic from entering Interstate 10 during construction. While he was working, a drunk driver, 18-year-old Jan Michael Nieves Delgado, drove through police barricades and killed two highway workers. In the 2016 trial, defense attorneys argued that the officers failed to properly block the freeway and that Amparan was asleep. Tom Gladden, the project engineer for the construction company, testified in court that Amparan was wearing sunglasses at 2:30 a.m.
“I thought it was odd because I don’t wear sunglasses at night,” Gladden said. In court, Amparan denied sleeping. He declined to comment for this story, as did all but one of the top 10 overtime earners. For years, the El Paso Police Department has been dealing with staffing shortages. From 2009 to 2016, the department lost an average of 53 officers per year while filling an average of 34 positions per year from police academies, according to city documents. Despite the shortages, El Paso continually ranks among the “safest metro cities in America” in a report published by SafeWise. The report is based on FBI crime data used to analyze and rank cities that have a population greater than 300,000. El Paso’s population is about 700,000. Using overtime allows the department to put more officers on the streets. Police officials said the overtime shifts are voluntary. When overtime is available for the department’s various grant or extra-duty assignments, supervisors send an email to alert officers that the hours are available. The shifts typically are filled on a first-come, first-served basis and are approved by supervisors, officials said. Dionne Mack, the deputy city manager of public safety and support services, said the department currently is considering increasing overtime to maintain minimum staff levels – a practice that has not been in place since 2008. Based on current wages and benefits, the department estimates it would cost more than $2.5 million a year to do so for the busiest days of the week – Thursday, Friday and Saturday. The funding would pay for overtime to maintain staffing at 80 percent during peak times, Mack said. Mack said that while the department is considering the plan, there is no funding and no set implementation. The department is focusing on a long-term solution of increasing staffing levels through hiring more officers with two academies per year, she said. By policy, El Paso police officers are allowed to schedule 50 overtime hours within a two-week pay period. In a five-day work week, that would add an average of five extra hours to every eight-hour shift. But the department sometimes allows officers to work far beyond that 50-hour limit. The Times/Reveal analysis found at least 220 instances over the five years in which police officers exceeded that restriction. About one-third of those were due to Hurricane Harvey, which struck Houston last year. In at least one instance, an officer worked 85 hours of overtime – that amounts to more than two weeks of extra work done in a two-week time period. “A lot of times, those go over because it wasn’t planned,” Allen said. Sgt. Robert Gomez, a department spokesman, earned about $199,000 working 3,500 overtime hours over the previous five years. He participated in the Hurricane Harvey relief efforts and said the work shifts were 12 hours, but officers still were logging overtime while getting to and from the various work sites. He also said fatigue was taken into account for the 22 officers who were working the overtime. The department said officers can extend overtime hours beyond the policy to work on homicide or narcotics investigations or if they are working in specialized units such as the Crimes Against Persons unit, bomb squad or K-9 unit. “The needs of the department are always met first, so there isn’t a time limit on that,” said public information officer Sgt. Enrique Carrillo. The results of the department’s use of overtime underscore the risks to public safety. Detective Andres Sanchez, a 30-year veteran on the police force, was working overtime on an FBI surveillance operation in February 2017 when he turned into oncoming traffic. He crashed his unmarked police car. The accident caused $4,000 of damage to the city vehicle and $2,000 to a resident’s vehicle. As punishment, Sanchez received what’s known as divisional counseling, in which officers are told in what ways they violated department policy. On Sanchez’s divisional counseling form, he was informed that he violated the department’s general rules, traffic laws and his individual responsibility while operating a city-owned vehicle. “Detective Sanchez understands that he was responsible for his actions in operating the unmarked unit. He was receptive to the counseling,” the form states. In total, Sanchez worked about 3,800 overtime hours over the last five years, earning $196,000 above his salary. Three days after Christmas 2014, Amparan, the officer accused of falling asleep, was working overtime when he tried to catch a speeding driver on I-10. He drove over a curb and onto a raised median to try to get onto the interstate, damaging the tires and rims. The cost of the damage was not listed on the police report. Two years later, again on overtime duty, Amparan crashed into another vehicle while trying to make a U-turn without his emergency lights on. The internal investigation report states that both he and the victim were injured, but the details were not listed. Amparan was found at fault, and the police car received what the report called “substantial damage,” though the cost was not listed. On another overtime assignment, Amparan was reprimanded for not searching someone he arrested. In June 2015, Amparan arrested Ismael Fonseca, who had outstanding warrants, including one for driving while intoxicated and another for possession of marijuana. Amparan failed to search Fonseca while in his custody. After Fonseca was transferred to the El Paso County Detention Facility, officers there found a small amount of cocaine in his wallet, internal affairs documents show. El Paso County court records show Fonseca was found guilty on a drug possession charge and was sentenced to probation and community service. Amparan was given divisional counseling. While working overtime in October 2016, Officer Michelle Gonzalez crashed into safety wires on I-10, according to a Texas Peace Officer’s Crash Report form. The report states Gonzalez was unable to see the wires. The accident caused $14,500 in damage to the police car, according to the report. No amount was listed for the damage to the wires. Over the last five years, Gonzalez has worked 3,300 overtime hours, earning an extra $165,000. A 14-year veteran, Gonzalez works at the El Paso Fusion Center, a multiagency tactical response and information exchange for the department and region. Allen said the department looks at the details of each accident on a case-by-case basis and determines whether changes need to be made in each circumstance. “We don’t write a blanket policy because of the one-time or three-time event and all of a sudden try to change the dynamics of how the department works,” Allen said. Mack, the deputy city manager, said that when the department shares incidents, officials discuss the situation and possible revisions to training. “I would be concerned with saying that because somebody was on overtime and because they were tired that something happened,” she said. Officers who took overtime shifts worked an average of 312 hours over the five-year period analyzed by The Times and Reveal. The most frequent overtime workers, however, put in thousands of hours. Over the last five years, Sgt. Jaime Esparza led the way with 4,900 overtime hours worked, earning an extra $277,000. Esparza, a 15-year veteran, augmented his $80,000-a-year salary with $72,000 in overtime pay in 2017. That’s more than the salary for 19 of the highest-level executives at City Hall, including the directors in charge of streets, international bridges and aviation. Allen said some of the top earners are part of special units that tend to work more overtime hours. He said Esparza is in charge of the department’s DWI task force, for example. The overtime data shows that a majority of Esparza’s overtime hours were for Texas Department of Transportation projects. About 1,200 of his overtime hours were for court appearances. Allen said Sgt. Edward Mendoza serves on the cross-border task force that is involved with intelligence and gangs. Mendoza, an eight-year veteran, has worked 4,200 overtime hours over the last five years, earning an extra $244,000. Gomez, the public information officer, also oversees projects with the Department of Transportation, the city’s downtown streetcar project and others. Sanchez, the detective, works with the department’s federal task force that works with the FBI. “He’s a key investigator in Barrio Azteca investigations,” Allen said. The Barrio Azteca gang operates a heroin ring on both sides of the El Paso-Juárez border and has members throughout West Texas. Some of the overtime is paid for by grants that don’t come out of the city’s budget. Operation Stonegarden, for example, provides federal funding for local agencies to perform extra patrols to combat drug smuggling, auto thefts or other crimes along the border. The state Transportation Department gives funding for traffic enforcement initiatives such as traffic control, speeding and drunken driving. Officers also work overtime for special events, court appearances and other unspecified grants. Some top earners approved shifts for each other, the overtime reports show. Allen said the sergeants who supervise grant assignments or task forces sometimes need to call out special units, such as the K-9 unit, which Sgt. Aaron Curlee supervises. When that occurs, the supervisor who calls out the units is allowed to approve overtime shifts for other supervisors and officers who respond to the call. Gomez, for example, approved shifts for Esparza, Amparan, Gonzalez, Officer Santos Perez and Officer Sergio Garcia. Esparza and Curlee also approved overtime shifts for Perez. Mendoza approved overtime shifts for Detective Andres Sanchez, Officer Martin Sanchez, Perez and Amparan. Internal affairs has reprimanded some officers when they’ve scheduled more overtime than they’re supposed to. An internal investigation report shows that Gonzalez, the officer who works at the Fusion Center, exceeded the 25-hour weekly limit on three separate occasions in 2014. One of the shifts would have overlapped with her regular duty hours, which is against the department’s overtime policies, the report states. “Officer Gonzalez should not have been allowed or even submitted to work this Grant because of the conflict with her regular duty hours,” Lt. George Spencer said in the report. Gonzalez was found to have violated department policies and procedures and was issued an employee discussion form that included the violations and her response, in which she acknowledged exceeding the limit. She also said she would monitor her overtime hours more closely. Amparan in May 2013 had volunteered to work an overtime shift but had to get permission to leave the shift early so he wouldn’t exceed the 25-hour limit, internal affairs documents show. He was given divisional counseling for not properly scheduling his overtime hours, which could have impeded operations of the assignment, the divisional counseling report shows. Allen said there are several factors that come into play when the department uses overtime. The department is working toward increasing the number of officers to a level at which specialty units can work on a 24/7 basis like patrols currently operate. That, he said, would limit the need to call them out to respond to incidents, which also drives overtime hours. Allen said that when the department can reach those levels, there likely would be a decrease in its use of overtime, but it would not completely go away. The department currently has 1,054 officers and has initiated a plan to expand the force through the 2024 fiscal year. It estimates that by 2025, there will be 1,586 officers to meet its staffing needs, according to city documents. The department initiated the plan in 2016. Last year was the first year the department saw an increase in officers since 2008. This story was edited by Zahira Torres of the El Paso Times and Andrew Donohue and Michael Corey of Reveal. It was copy edited by Nikki Frick of Reveal. Elida S. Perez can be reached at eperez@elpasotimes.com. Follow her on Twitter: @ElidaSPerezEPT.